Pizzas come in many flavors and varieties. 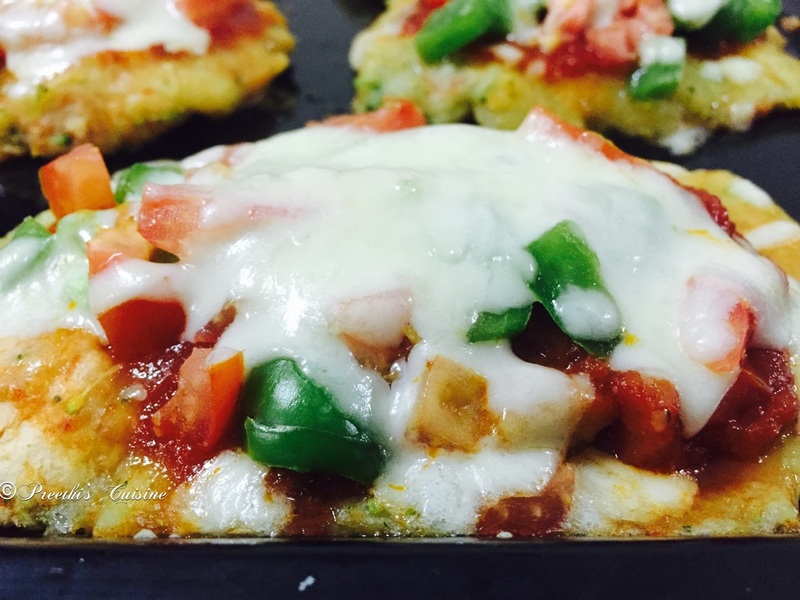 Being a vegetarian my kids always have Veggie Lovers Pizza.I am not a Pizza fan , but I loved this Fusion Pizza. My kids were craving for Pizza . I was late from work and hence could not make the normal Pizza as it is time consuming . 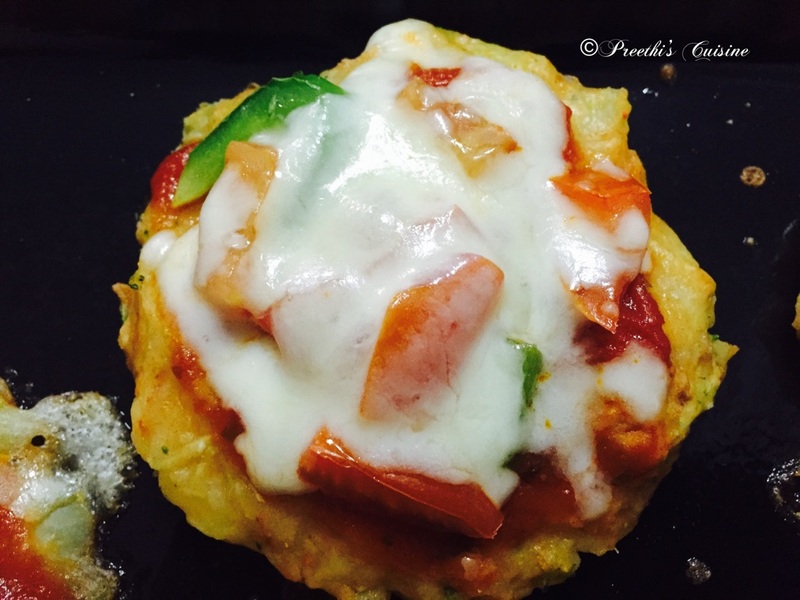 I came up with this idea of making fusion Pizza that turned out totally lip smacking and vanished in a jiffy. Got a thumbs up from my boys too. My experiment was successful. When my experiments are loved and appreciated by my family, I feel accomplished. 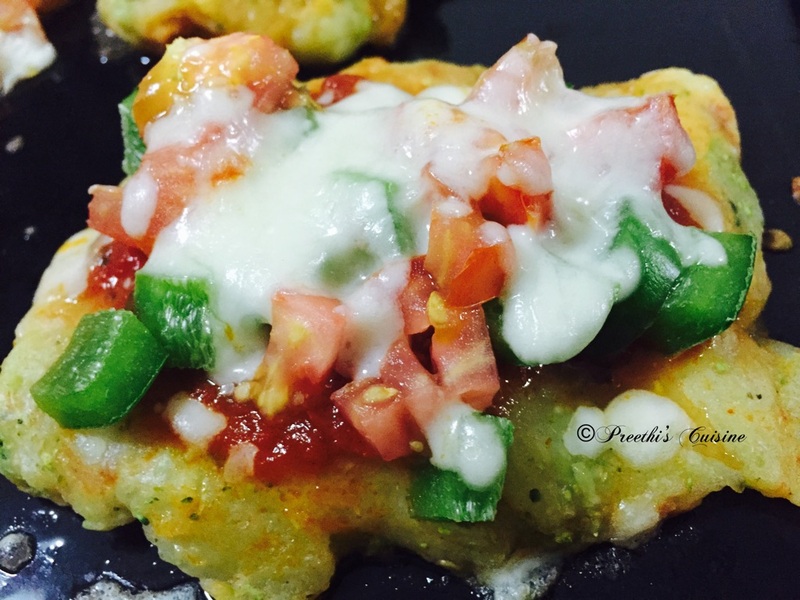 This is easy to make and can be made with basic ingredients in your Pantry. It can be eaten guilt free. Mix the boiled and mashed potatoes, grated broccoli, chili powder,mashed bread slices and salt. Shape them as desired and place it on a greased tray. Smear some Pizza sauce or Chilli sauce . Top it up with chopped Bell Pepper and Tomatoes. Sprinkle cheese generously. Pre heat the Oven at 180C for 10 Mins. Place the tray in the pre heated oven and bake for 15 to 20 mins. 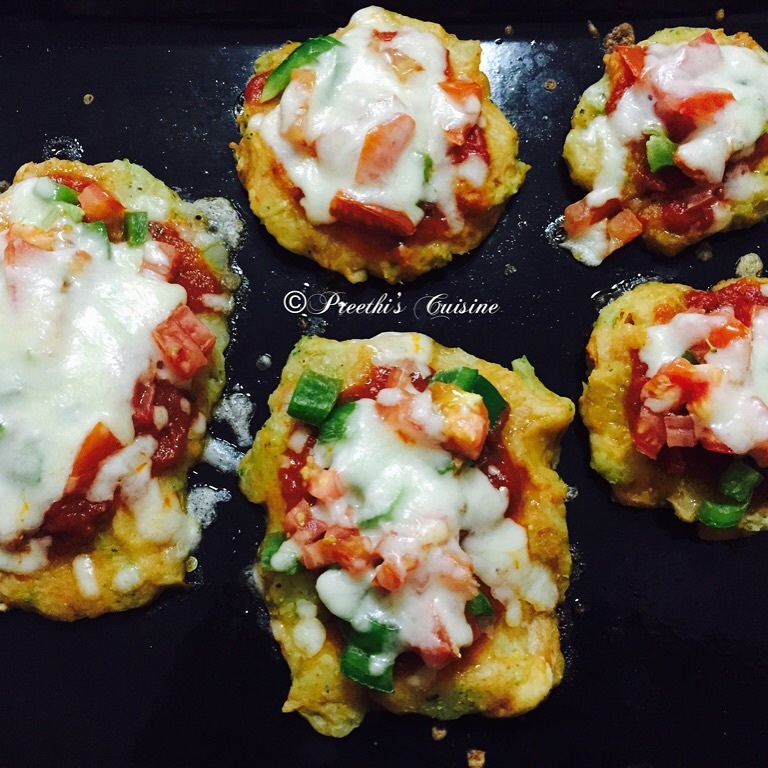 What a yummy idea, Preethi! brilliant way to have a pizza without feeling guilty about having too much flour. Wow! That is so innovative! I understand how it feels when you do something..and your brainchild is appreciated.cheers to that! lovely! will try out some day.